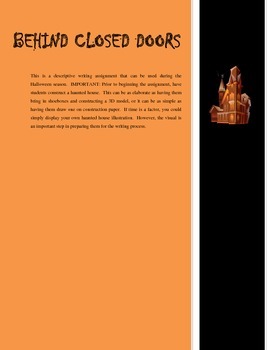 This is a descriptive writing assignment that can be used during the Halloween season. 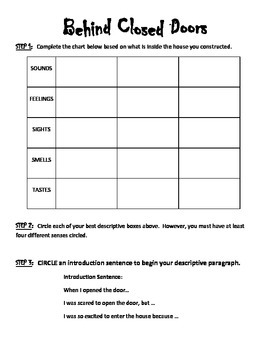 It guides students through seven simple steps as they construct a descriptive paragraph that emphasizes the use of sensory details in the writing process. Trust me, students will love this assignment. All the prep work has been completed - All you need to do is run the copies! CAUTION: Students are going to beg you to let them share their paragraphs with the class.